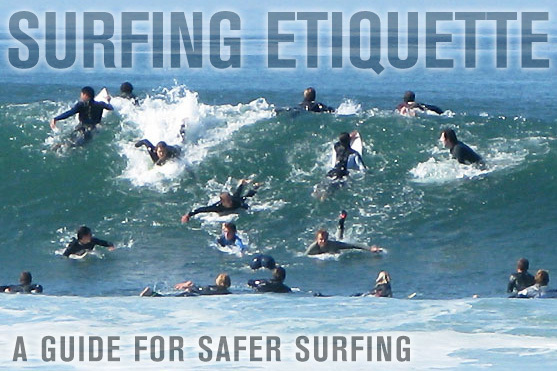 Good Surfing Etiquette goes a long way to making surfing a safer and more enjoyable experience for you and everyone in the water with you. The following list is a internationally practiced set of rules that all surfers should know and adhere to. We hope you find this information useful and put it to practice every time you go surfing. 1. Whose wave is it? / Who has ‘right of way’? The surfer first to their feet or riding the wave closest to the breaking part of the wave (the white water), has ‘right of way’. Before paddling for a wave, first check that no one else is already surfing it. While you’re paddling to catch a wave, keep looking left and right to make sure no one else is already on the wave. If someone else catches the wave before you or is riding the wave towards you, pull out immediately! Snaking is when you paddle in front of, or around another surfer to position yourself on the inside of them, with right of way. Do not do this. The same applies if you’re paddling out and turn around to take off on the inside of someone else, who’s riding or paddling for a wave. Don’t be a snake. Do whatever you have to, to avoiding getting in the way of those riding the waves. If you are paddling out and a surfer is riding towards you, you must either remain in the same place (stop paddling) or paddle in the direction they’re coming from and pass behind them. This most likely means you will need to deal with the white water.. Deal with it. This practice is essential to avoid collisions and not mess up the waves that others are riding. If you’ve just paddled out or just ridden a wave, let others catch a few before taking another wave straight away. Don’t be a wave hog. If you’re in position to catch the wave, let the surfers around you know if you’re going to go to ‘Left’ or ‘Right’. Doing this can prevent them accidentally dropping in on you, or perhaps they can possibly catch the same wave as you, and ride in the other direction. Most surfing injuries are caused by getting hit by your (or someone else’s) surfboard. You must always have your surfboard under control. If the wave is to big for you to duck-dive, do not throw your surfboard into the white water without checking there is no one around who could be hit by your board. Ditching your surfboard in order to dive under waves is not good practice – and a sign that you’re most likely surfing in conditions beyond your ability/skill level. Not littering on the beach or in the ocean goes without saying, but go a step further by picking up trash you find in the water and on the beach and disposing of it properly. You could also take part or arrange an occasional beach clean up with other surfers? Beyond adhering to the rules above, try to bring a positive vibe to the water. If you get in someone’s way or accidentally drop in on them, apologise immediately. 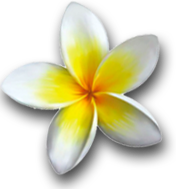 Interact with other surfers in a friendly manner. Encourage them by ‘hooting’ for them if they get a good ride/wave. It feels good to know that someone else noticed your wave.